Will Obama sanction Israel for building in its capital, Jerusalem? Congress is worried and demands answers. How can the US impose sanctions against Israel while easing sanctions against Iran? A report revealed by Ha’aretz newspaper indicates that the Obama administration is going to impose sanctions on Israel because of its building plans in Jerusalem, and Congress is demanding clarification on the issue. Republican Congressmen came together and dispatched a harsh letter to President Barack Obama, demanding that he provide explanations regarding the report. “Further, at no point in time has Congress given the Administration the authority to sanction Israel… any attempts to undermine the U.S.’s support of Israel will only further diminish the Administration’s ability to get Congressional support for any potential agreement with Iran,” the letter warned. 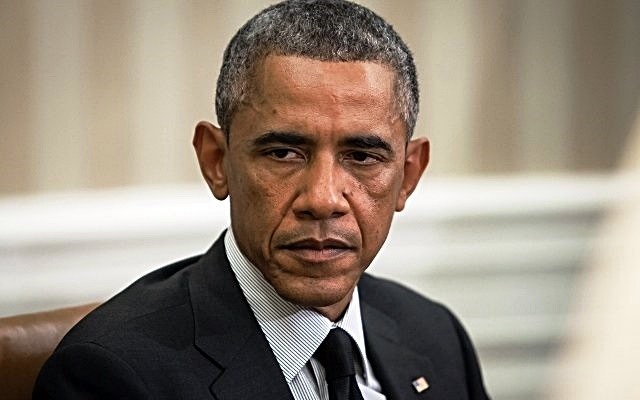 Israel’s Ha’aretz first reported that following Obama’s growing frustration with Israel the Obama administration held secret internal meetings to discuss taking action against Israel for its ongoing building in Jerusalem. The meetings were attended by officials from both the State Department and White House. The report has since generated much controversy. On Friday, White House Press Secretary Josh Earnest failed to give a definitive yes or no answer when asked about the Administration’s position during the White House press briefing. The Free Beacon points out that the possibility of sanctioning Israel for its ongoing construction sends a signal that the Obama administration is willing to go further in its denunciations of Israel than any previous White House. At the same time, the Obama administration is working hard to relax the existing sanctions leveled against Iran, and to stop Congress from leveling further sanctions. Israel’s sovereignty in Jerusalem, its capital, has come under increased attack in past months. We need to stand together and show the world that Jerusalem is not a bargaining chip in border negotiations or a rallying point for terrorists. It is a Holy City meant to provide a beacon of light to all nations under the sovereignty of Israel. Help us to ensure that Jerusalem stays unified. Click HERE to sign The Jerusalem Declaration. United with Israel is a global, grassroots movement comprised of individuals who are deeply committed to the success and prosperity of Israel. Our primary mission is to build a massive network of pro-Israel activists and foster global unity with the People, Country and Land of Israel. In short, we seek to fight and win the battle of public opinion for Israel. We maximize the incredible power of social media to spread the truth about Israel to the entire world. From incessant rocket attacks to threats of annihilation and fears of nuclear attack, Israel is alone in a big world of unfriendly nations. And for the first time, Israel is under intense pressure to divide Jerusalem, the eternal capital of Israel. This is a defining moment for the nation of Israel. Now more than ever, Israel needs the support of its friends throughout the world. To bond with Israel by sharing its pain and lending a helping hand. To stand with Israel throughout these critical times. To affirm that throughout history, Israel has been a great blessing to the world and only those who blessed Israel were themselves blessed (Genesis 12:3). And those who sought to destroy Israel are no more. United with Israel has developed state-of-the-art, efficient channels of communication to distribute critical information about Israel in real-time and to inform supporters about practical ways to pro-actively advocate for Israel. We promote purchasing Israeli products that support the Israeli economy. We raise money for worthy charities in Israel. We are dedicated to promoting both the urgency and privilege of standing United with Israel. 1. We tap into the full potential and power of social and alternative media. 2. Although we are a Jewish organization, we are open and welcoming to all people, Jewish and non-Jewish, regardless of race, religion or region. 3. We are truly global, having supporters in over 100 countries, speaking over 20 languages. 4. We are grassroots, building support bottom-up, not top-down. Leadership is not imposed – it emerges from the masses. 5. We are very fast-moving, dynamic and efficient; not top-heavy; non-traditional and non-bureaucratic; we just get it done! For more information about United with Israel, please Contact Us. Why I keep telling Israel not to trust Obama for a minute. (Look at how he lies to Americans!) And, hang on to Netanyahu as long as you can!!! Yes, I realize you are an avid supporter of Israel. Just reinforcing my own feelings. Exactly where in the world can Jews reside without being threatened? Why not in their own homeland? Jerusalem was and now is the capital of Israel. Muslims never made it a national or provincial capital. Jordan illegally seized half the city in ’48 and lost it when they attcked Israel again in ’67. Jerusalem belongs to Israel and of right must continue under her soverignty. There is no good reason why any part of Israel should be Judenrein. Israel must tell Obamination to go to Hell. Israel, like America, needs to elect new, intelligent, articulate, Conservative, courageous leadership who will unflinchingly stand up to evil, name it, shame it and, if necessary, use every available weapon to eradicate it.